Two and Three Part Inventions, Four Duets, English Suites, French Suites, Suite in F Minor, Six Partitas, French Overture, Well-Tempered Clavier (2008 recording), Partie in A Major, Chromatic Fantasia and Fugue, The Toccatas, Fantasia in C Minor, Italian Concerto, Goldberg Variations and more. 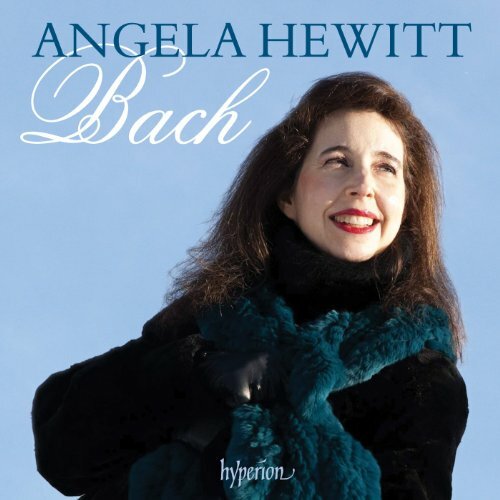 Angela Hewitt (piano) The long-awaited boxed set celebrating Angela Hewitt's monumental achievement in recorded Bach for piano. This 15CD set features her complete Bach recordings including The Well-Tempered Clavier (2008 recording - 4CDs), Goldberg Variations, Partitas and the Keyboard Concertos featuring The Australian Chamber Orchestra over 2 CDs. 'Hewitt remains today's finest exponent of Bach's keyboard music' (Gramophone), her recordings having sold over 400,000 copies worldwide. The set is also accompanied by a 16th disc of a +77 minute sampler of her non Bach works as a bonus.